We specialise in the Sales, Service, Repairs and Installations of all Water purification, filtration and treatment systems. We provide a Complete Water Package from Water Testing, Well Drilling, Supply/Fit Pumps and Filtration systems. We specialise in the supply and installation of water pumps, waste-water pumps and rain harvesting pumps. All pumps comply with the latest WRAS Approved EU Regulations. We rewind, refurbish and test all makes and models of AC & DC Motors/Generators/Pumps with handling facilities up to 5 Ton. We stock a wide range of models and will be happy to advise you on the most suitable model for your requirements. We source our products from trusted manufacturers across the world such as Makita, Bosch, Hitachi, Honda, Dewalt, Tengtools, Knipex, Nilfisk and always have spare parts and service kits available for our products. The company was formed in 1970. It is a family run business based in Ennis, Co. Clare managed by David and Ross, between them they have 58 years of experience in this sector. We specialise in the supply and installation of water pumps, waste-water pumps and rain harvesting pumps. We offer a comprehensive service in the sales and repair of electric motors, power tools, generators, compressors and pressure washers. A detailed water analysis service together with a range of suitable water filtration systems is provided. We specialise in the supply and installation of water pumps, waste-water pumps and rain harvesting pumps. We offer a comprehensive service in the sales and repair of electric motors, power tools, generators, compressors and pressure washers. Our services cover a wide range of electric motors: Form Wound Stators and Armatures; Synchronous Stators and Rotating Fields; Explosion-Proof Motors; Submersible Pump Motors, water and oil filled; Field; Interpole; Solenoid and Brake Coils. When it comes to Power tools and equipment supply in Ireland we are hugely competitive on price, and unrivaled on quality. We are the only business in Ireland that will service and repair all goods sold from our premises. We also have a wide range of plant hire stock. 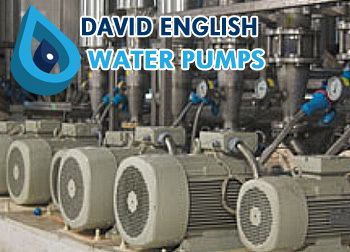 Satisfied customers of Dave English, we would highly recommend you contact them for all water and electrical needs. Great service, professional advice and quality products. We have always found Dave English to offer a very professional, personal service across a number of projects in our company. We are happy to have worked with Dave English on numerous projects and have always been impressed with the service provided. We would highly recommend Dave English for all water and electrical requirements.